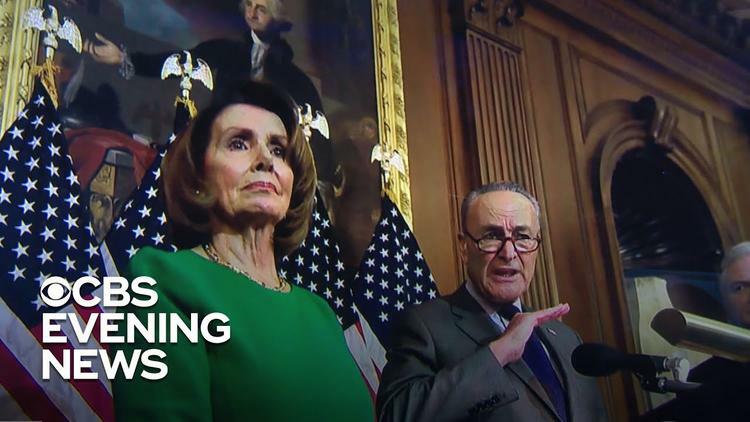 Ann Arbor (Informed Comment) – Trump’s petty cancellation of Speaker of the House Nancy Pelosi’s trip on military transport to Brussels and Afghanistan was clearly his revenge for her cancellation of his State of the Union message until he ends the shutdown of the government. “US First Lady Melania Trump (C) . . . at Trump’s Mar-a-Lago estate in Palm Beach, Florida on April 18, 2018. / AFP PHOTO / MANDEL NGAN (Photo credit should read MANDEL NGAN/AFP/Getty Images). 2. Although Ivanka and Jared Kushner did not fly a government plane down there, they are also vacationing in Mar-a-Lago. They are supposedly high-powered White House employees. Jared is supposed to be bringing peace to the Mideast and Ivanka is supposed to be picking the next World Bank head. Why are they on vacation when so many government employees in the security area, as with TSA agents, and being made to work, and made to work without pay as long as the shutdown lasts? Isn’t Pelosi’s determination to carry out US security consultations in Brussels and Kabul much more admirable than high level essential personnel sipping Mai Tais in a Florida resort? And by the way, a trip to Mar-a-Lago by the Kushners is estimated to cost tax payers tens of thousands of dollars in, ironically, security costs. Are the Secret Service agents being paid, or are they working for the Trumps for free while the latter are exfoliating? FILE: Jared Kushner, senior White House adviser, left, speaks with Ivanka Trump, assistant to U.S. President Donald Trump. . . Photographer: Andrew Harrer/Bloomberg via Getty Images. 3. Trump’s Cabinet of Grifters has routinely abused the taxpayers by using military transport for purely political campaign events or for what appear to be personal or corruption-related trips. Scott Pruitt, the head of the Environmental Protection Agency who turned the EPA into the Environmental Destruction Agency, charged taxpayers $163,000 in just his first year, using a combination of first class commercial flights and charters and requisitioning military flights. CNBC reported that “Pruitt and staffers flew by Air Force jet to Cincinnati from Washington for an event with President Donald Trump. That flight alone cost more than $36,000.” Then there was the $120,000 trip to Italy. Was he visiting sunny Tuscany to admire the coal plants and sniffing in the thick black particles? Pruitt is under ethics investigations over his travel abuses. 4. Pelosi is number 2 in line to succeed if the president is incapacitated, after the vice president. Trump does seem non compos mentis, and though Pence seems more immobile than incapacitated, given the parlous state of the Republic, it certainly is legitimate for No. 3 to seek to get up to speed on our national security commitments. More especially at a time when Trump is trashing those commitments. 5. Headlines have in the past week carried the news that privately, Trump spoke of withdrawing from the North Atlantic Treaty Organization. Breaking up NATO has been a prime goal of Russian president Vladimir Putin, who appears to have some powerful hold on Trump. Some lawmakers even want to pass a law preventing him from trying to do that unilaterally. The congressional delegation intended to reassure NATO members of US commitment to the organization. 6. Trump has underlined to Republican lawmakers that he intends to withdraw from Afghanistan. The Speaker of the House who has a powerful majority in that chamber should be consulting with Afghan president Ashraf Ghani (especially since Trump has not bothered to go visit the latter).